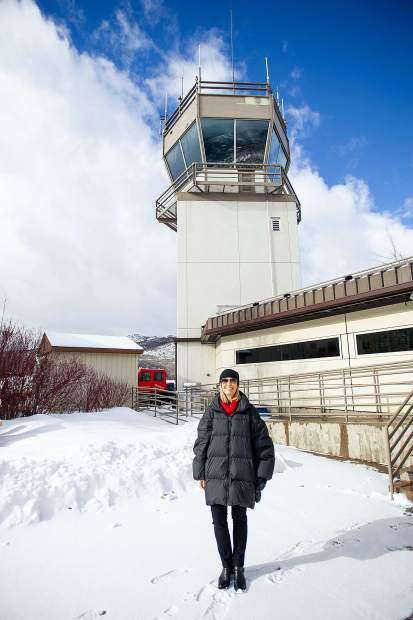 Suzanne Pfister stands outside of the Aspen Airport tower. Her mother, Betty, played an integral role in the installation of the tower. Betty Haas Pfister may have had her head in the clouds, but her view from above helped inspire the dreams she realized during her time on Earth. An innovative aviator, Betty and her legacy are deeply embedded into the foundation of Aspen’s flight operations. 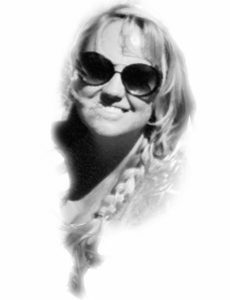 Today, her daughter, Suzanne Pfister, is resurrecting Betty’s spirit. 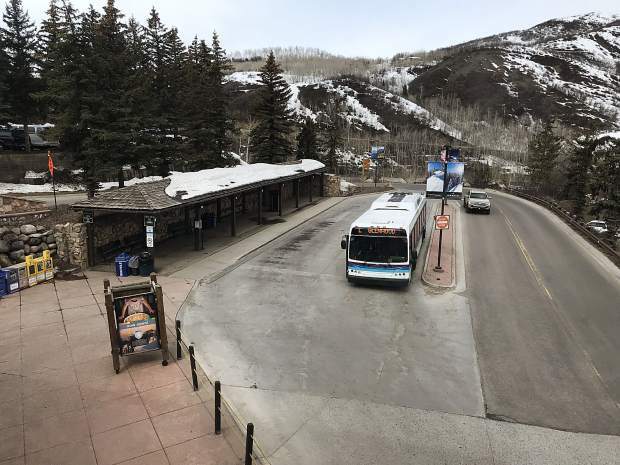 What started as a proposal to name the new terminal at the Aspen-Pitkin County Airport after the acclaimed pilot has progressed into a nonprofit with a newly appointed board of directors, and Suzanne behind the wheel. The BettyFlies initiative serves to recognize Betty’s accomplishments as a female aviation pioneer and to inspire others, especially young women, Suzanne said. BettyFlies hopes to soon revive a previously existing aviation scholarship, form a new one at Aspen High School and collaborate with other area high schools. The project is just getting off the ground and will ramp up at the start of the new year, Suzanne said. At the family’s Buttermilk Ranch home, stacks of boxes are stuffed with certificates, newspaper clippings, photographs, awards, trophies and memoirs. Now referred to as “the Betty boxes,” the collection of historic documents and records, slated for the Smithsonian Institution’s National Air and Space Museum, brims with the tales of an extraordinary life. While recently sorting through the files, Suzanne recounted details of her mother’s past. Born in Great Neck, New York, in 1921, Betty found her calling during a serendipitous ride at an aerial show as a freshman at Bennington College. During World War II, Betty answered the call that went out to all women holding a pilot’s license asking them to join the Women Airforce Service Pilots. “If it went up into the air, my mother wanted to fly it,” Suzanne said. The WASP was a pioneering assembly of women with exceptional flying abilities who were recruited by the United States Army Air Forces to fly military aircraft. Only 1,800 women out of the 25,000 who applied were accepted. Of those, only 1,100 graduated. The female pilots learned to shuttle aircraft of all sizes and types across the country. More than 30 women lost their lives, in some cases because of the terrible condition of the aircrafts. “My mother used to say that women were considered expendable in those days,” Suzanne said. Women in the 1940s program would not be recognized for their military service for more than 60 years. In 2009, President Barack Obama awarded the WASP members the Congressional Gold Medal and Congress made them eligible for veteran’s benefits. Only about 300 WASPS were alive when the award was bestowed. As the Pfister family traveled to Washington, D.C., to attend the ceremony at the White House, Betty’s remark was simply, “Better late than never,” Suzanne recalled recently. But the WASP program was just the beginning of Betty’s life in the sky. Despite the limited piloting opportunities for women, she found several unconventional jobs and continued flying after the war. Betty stayed in touch with a fellow WASP member named Ruthie Brown. Ruthie and her husband D.R.C. (Darcy) Brown had recently moved to Aspen. Sometime in the 1950s, Ruthie encouraged Betty to visit. 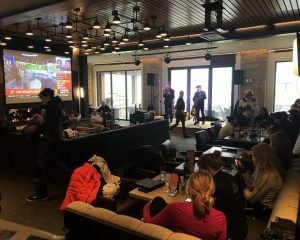 “While they were standing in the Bell Mountain lift line on Aspen Mountain, a couple of good looking men skied up,” Suzanne said. “One was wearing a cardboard sign around his neck which read ‘If you think I’m handsome, I’m available’ with his four digit telephone number written beneath. The man was Art Pfister, a rancher and a traveling salesman. He and his neighbor Friedl Pfeifer owned the land at the base of Buttermilk, which they would later develop into Buttermilk Mountain. Art, also a pilot, had flown the Hump in Burma, China and India during the war. With much in common, including their love of flying and skiing, Art Pfister and Betty Haas were married in 1954. Later that year, Art bought the Lazy Chair Ranch on Buttermilk Mountain and Fritz Benedict designed the home that they built and lived in together for the rest of their lives. In 1968, Betty founded the Pitkin County Air Rescue Group and remained president until retiring in 1991. The local volunteer pilot group initiated searches — initially out of Betty’s living room — for downed aircraft and missing skiers in the mountains. This organization morphed into what has now become Mountain Rescue Aspen. Suzanne’s most vivid childhood memories are centered around her mother’s dedication to “aviation-related causes” throughout the Roaring Fork Valley. “There was a phone on the dining room table labeled ‘for rescues only,’” she said. “When it rang, we children were instructed to be very, very quiet, and suddenly the dining and living room floor would be covered with aviation maps, and then a helicopter would fly into the driveway, and off my mother would speed. Suzanne credits her mother’s “efforts and persistence” for the construction of Aspen Valley Hospital heliport. Betty also paved the way for the construction of the control tower at Sardy Field in Aspen. She went to Washington, D.C., and camped outside the Federal Aviation Administration doors until the authority agreed to see her and re-examine their criteria for the control tower’s approval. Along with planes, Betty flew both lighter-than-air and helium balloons, and participated in hydrogen balloon races in the Swiss Alps. In 1976, she founded the Snowmass Balloon Races, organizing and chairing the competition until 1981. She flew her own balloon and enjoyed the freedom in “going wherever the wind blows you,” Suzanne said. In 1963, Betty received her commercial rotorcraft rating; the following year, she was the 52nd woman in the world to obtain a helicopter license, becoming an esteemed member of an elite international organization of women’s helicopter pilots known as the “Whirly Girls.” In the 1970s, she became a member of the United States Helicopter Team. The National Women’s Pilot Association (also called the Ninety-Nines) that Amelia Earhart founded considered Betty a member for more than 40 years. She organized the Aspen chapter in 1981. In 1984, Betty was inducted into the Colorado Aviation Hall of Fame. In 1995, she was inducted into the Aspen Hall of Fame. In the late 1990s, Betty offered local high school students scholarships to flight school. Throughout her scholarship program, Betty sent several kids to Space Camp and personally brought a group to flight school in Florida. Betty never sought fame, Suzanne said, though her accomplishments as a woman in a male-dominated industry earned her a particular level of national recognition. Today, walking around Aspen’s Sardy Field Airport, the reverence people feel in Betty’s memory is tangible. 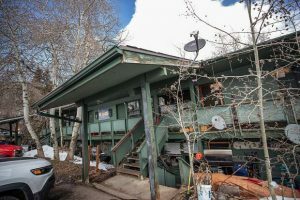 “She was respected and beloved by all who knew her, and will always be an Aspen icon,” said Harrison Williams of Aspen Flight Partners.